NEW YORK, Jan. 26, 2019 /PRNewswire/ — The ascension of Alex Bregman’s accolades – born from a t-ball unassisted triple play – continued today at Astros FanFest as the Houston third baseman was unveiled as the cover athlete for the R.B.I. Baseball 19 video game. 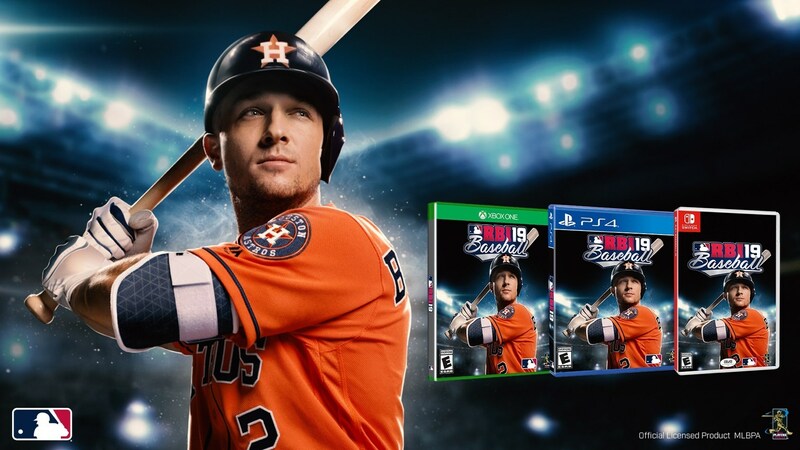 At 24 years old, Bregman, who becomes the first Astros player featured on a Major League Baseball licensed video game cover in 17 years, has already seen a lifetime of successes around the game of baseball, including high school state champion and collegiate All-American, second overall pick in the 2015 MLB Draft, top prospect, World Baseball Classic gold medalist, World Series champion, American League All-Star and Midsummer Classic Most Valuable Player. And on Halloween last year, ‘A-Breg’ became the first MLB player to launch his own YouTube channel, which has since drawn nearly 2.5 million views to a variety of original video content, while also posting on Instagram, Twitter and Facebook. Your Franchise with Total Flexibility: Develop and manage your MLB squad across multiple seasons by adding at the trade deadline, signing free agents, calling up prospects and even taking advantage of newly added two-way players. Fashion Sense: Every official 2019 uniform for all 30 teams and more gear & equipment options than ever before. Authentic MLB Players: Updated player models including over 350 redesigned likenesses, hundreds of new animations, more realistic player movements and reactions to deliver a whole new level of authenticity. Revamped Physics: Reengineered ball physics bring realism to every pitch, hit, and play. Legends & Legend Teams: Play as 165+ all-time greats. All-new Legends Teams available for play on Exhibition Mode and Friendly Online matches. Home Run Derby, Your Way: Pick any MLB player or MLB Legend, compete in any MLB ballpark and customize a bracket for the ultimate Derby showdown. Online Multiplayer: Play ranked and friendly exhibition games with friends and the rest of the world. Bigger and Better Soundtrack: A new soundtrack with music from popular artists including OneRepublic, CHVRCHES, Greta Van Fleet, and many more! Weekly Stats & Roster Updates: Stay up-to-date with weekly roster updates throughout the regular season with performance-based statistical tuning. R.B.I. 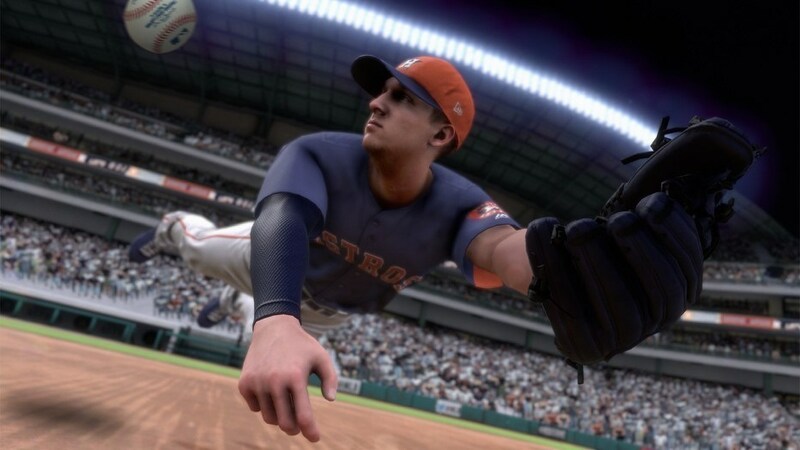 Baseball 19 is officially licensed by MLB and MLBPA. It will be available for the PlayStation®4 computer entertainment system, the Xbox One family of devices including Xbox One X, the Nintendo Switch™ system, iPhone, iPad, supported Android smartphones and tablets. The game will retail for $29.99 (U.S.) on consoles and $6.99 (U.S.) on smartphones and tablets. Launch dates for each platform will be announced when available. MLBPA trademarks and copyrighted works, including the MLBPA logo, and other intellectual property rights are owned and/or held by MLBPA and may not be used without MLBPA’s written consent. Visit MLBPLAYERS.com. All other trademarks are the property of their respective owners.